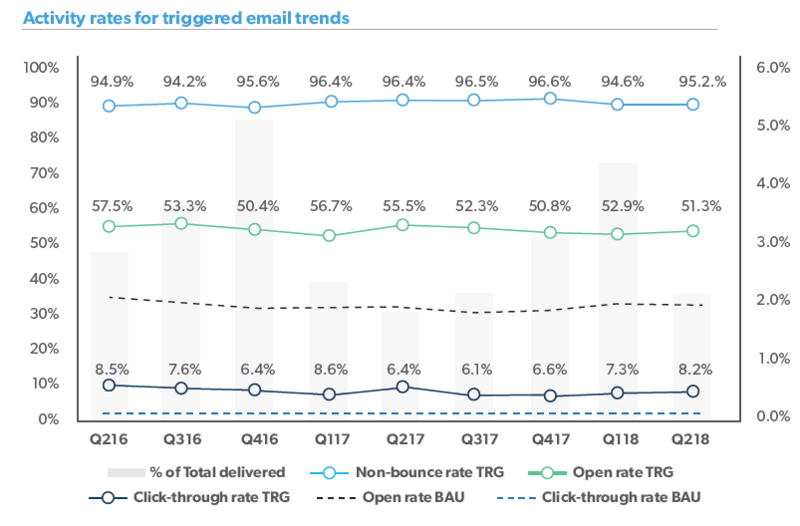 The newest email trends & benchmarks for Q2 2018 are here. Summer is winding down and the holiday season is approaching quickly. Why not take some time now to evaluate your email performance? Epsilon's Q2 2018 email trends and benchmarks report is here to help with quarterly aggregated data from over 17 billion emails sent by Epsilon clients in North America, across multiple verticals. The Q2 2018 Business as Usual (BAU) email trends and benchmarks analyzed performance trends by industry and message type. These metrics offer insight into how the average company performed across multiple industry categories. Coming out of Q1, open rates decreased less than one percentage point, and click rates decreased 0.4 percent. 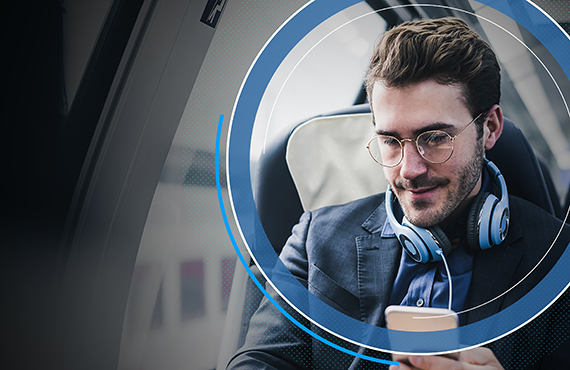 While performance of the channel is indicating status quo it is also demonstrating a need to deliver more personal experiences, ultimately re-engergizing channel engagement and showing the performance lift we grew to expect over the last 10 years. Triggered email trends are compiled from approximately 3.8 billion triggered emails sent from April 2016 to June 2018, across multiple industries. These messages were sent as the result of a consumer action, such as Welcome, Thank You or Confirmation. These metrics also highlight significant performance differences between triggered and BAU emails largely attributed to the relevance in the timing of message deliver to an individual. Triggered open rates were 64.3 percent higher than BAU in Q2 2018. This is also in line with the Q2 2017 lift of 64.5 percent over BAU. 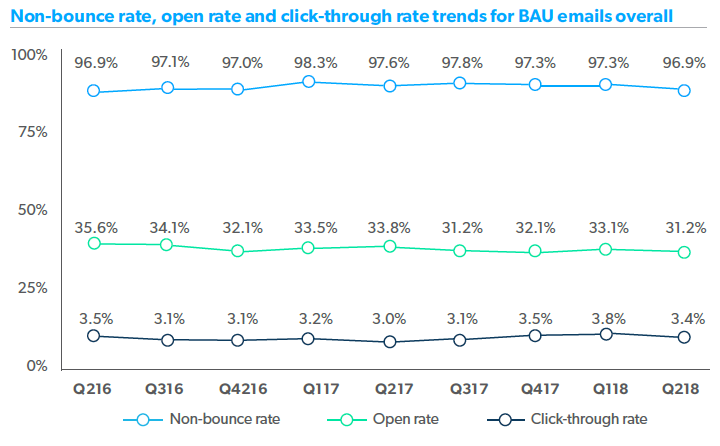 Triggered click rates (8.2 percent) also continue to perform well at more than double what we had for BAU (3.4 percent). While email activity is staying steady, the channel itself continues to evolve. To stay relevant, email marketers need to reimagine their email strategy. Move beyond basic segmentation and start utilizing data to deliver truly personalized experiences. Identify unique individuals so you can develop meaningful relationships and have relevant conversations with them through email. And make sure to retain their trust throughout the relationship. Taking the right steps now will ensure measurable outcomes in the future. For more insights download the full Q2 2018 Email trends and benchmarks.